There are several methods and practices for achieving process improvement, speed and complexity. In this article, I've focused on a popular one: Lean Six Sigma. This single continuous improvement method method is derived from two other powerful process improvement methods to help you increase the speed and effectiveness of your business processes. At Triaster, we understand that it can be difficult to achieve your business goals without a good framework to support your improvement projects - so we have displayed the benefits below of Lean, Six Sigma and Lean Six Sigma. Lean, Six Sigma; and the resulting combination of Lean Six Sigma, are basically the same thing but with different nuances and tools. To the expert of course, these differences in nuance are significant and create real white space, but to a business manager as opposed to a quality professional, the white space is rather grey and overlapping. They are methods and tools to reduce waste (Lean focus), solve problems (Six Sigma focus) and thereby improve operational performance through reduction of variance, fewer defects and more efficient processes. The best of both approaches when combined effectively help make 2+2=5 in terms of ROI from investment in improvement; improvements are accelerated and time to benefit is reduced. Lean Six Sigma is precisely this, it is the union of the waste reduction culture of Lean thinking with the problem solving techniques and variance reduction approach achieved with Six Sigma tools to deliver better performance. In practice, one rarely finds Lean or Six Sigma in isolation. A culture supportive of either, tends to be supportive of both. Organisations that use tools specific to Lean also tend to use tools specific to Six Sigma. 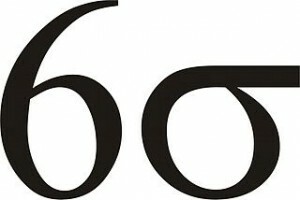 So if Lean Six Sigma is the union of Lean and Six Sigma, what is Lean and what is Six Sigma individually? What are the 7 wastes? Six Sigma was pioneered at Motorola in the 1980's and then at General Electric. It has to be said however that there is little in Six Sigma that is novel. Indeed, I can only really think of the expertise and experience classifications of Six Sigma Green Belts and Six Sigma Black Belts and so on, as innovative. Six Sigma essentially is a collection of pre-existing tools and techniques with a leadership approach that is perhaps a much stronger focus on beneficial commercial outcomes, than had come previously (less about quality, more about profit, although we all know that more quality = more profit!). 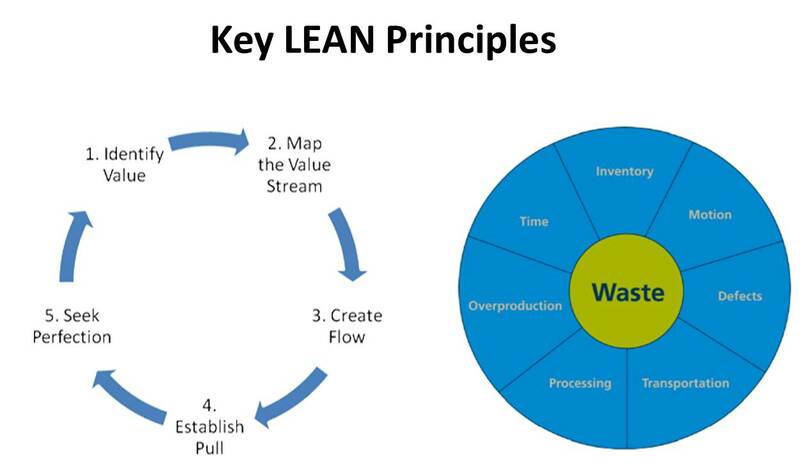 Whereas with Lean, the improvement focus is on reducing waste, with Six Sigma it is on reducing output variability. The term Six Sigma itself comes from the statistical measure of variance known as the standard deviation (universally notated in mathematics with the Greek Sigma symbol). The value of a random variable is only likely to fall outside six standard deviations of the mean of a single limit (upper or lower) normal distribution 3.4 in a million times. A process is therefore said to be ‘Six Sigma’ when there are less than 3.4 defects per million opportunities. In my experience, knowledge of this fact is about as statistical as Six Sigma gets in practice. Much more often Six Sigma is triggered in response to a problem, and the implemented solution is rarely data-driven simply because the costs of generating sufficient data with sufficient rigour is too prohibitive, for all but the largest of companies or government departments. 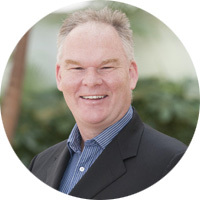 Irrespective of whether it is Lean, Six Sigma, Lean Six Sigma or any of the other similar methods, they are all fundamentally concerned with process optimisation. Long term sustainability and profitability does not come from price increases, because free market competitiveness ensures that as soon as the price point becomes highly profitable, new organisations spring up, compete, and the price reduces. Long term profitability comes from continuing and relentless cost competitiveness. 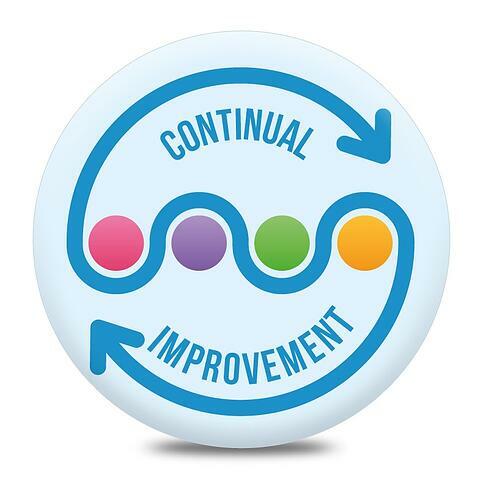 And this can be delivered through continuing and relentless focus on process improvement. Given the same end goal, two organisations can compete in many ways, but how they innovate and how they improve, feeds long term competitiveness. Lean Six Sigma training gives an organisation the tools to improve. 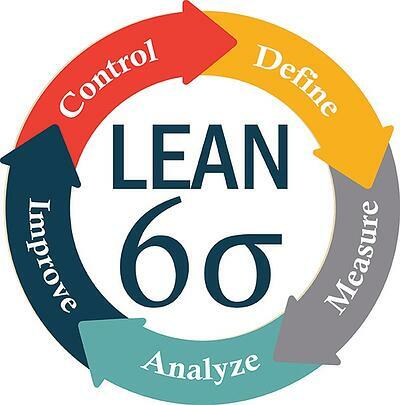 Out of all the Process Improvement Methodologies and Tools -Why Use Lean Six Sigma tools? Any and every organisation, whether not-for-profit, social enterprise, government, charity or commercial business, can be modelled as a set of processes. A process begins with a triggering event, and ends with an output to a consuming organisation or customer. The bit in the middle, the process, responds to the trigger and produces the output. The process can be performed better than or worse than the competition. You can bet your last dollar that the organisations that perform worse are trying to get better, and the organisations that already perform better are trying to get even better. And many of those competing organisations will be using Lean Six Sigma tools to catch-up or get further ahead. Business is all about jumping over the walls the market leaders are building, and building walls to prevent the new comers gaining market share. Lean Six Sigma principles can be thought of as a great wall builder and a great wall jumper. How Do I Start Implementing Lean Six Sigma Principles ? Lean Six Sigma requires, as a fundamental basic piece of information, the definition of the processes within scope of the Lean Six Sigma project. Indeed “Define” is the common start point of both Lean and Six Sigma projects. From there, the process is analysed and a better process is developed. What is DMAIC and how can we use it to map our processes?